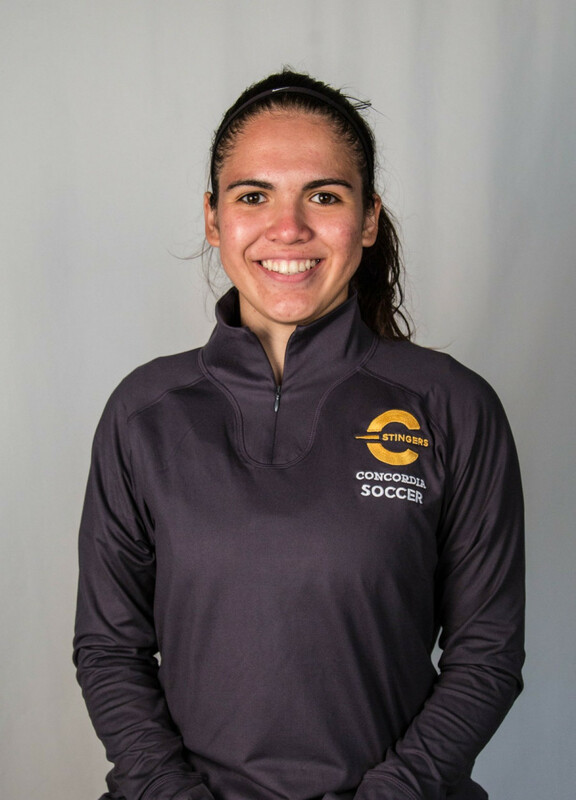 Concordia’s first-year attacking midfielder grew up watching her father, Gerardo Ibaceta, play professionally in the Chilean league. With soccer being as much a religion in Chile as hockey is in Canada, she was lacing up the cleats in no time. Soon, she found herself playing professionally for local club Santiago Morning, where her passion was really put to the test. “We trained five to seven days a week so anyone who wasn’t completely committed to the team just could not keep up,” she added. Not only were the hours gruelling and the pay nonexistent, but the resources at the player’s disposal in Canada was a massive change from the ones back home. Aside from the training equipment, another big difference Ibaceta noticed was the style and speed of play. After leaving Santiago, Ibaceta moved to Miami before coming to Canada two years ago. “I liked Miami but it felt too ‘tourist-y’,” said Ibaceta. “That’s also why I loved Canada so much and adapted to life here so quickly. Living in Montreal was so much more authentic and multicultural that I just felt at ease much quicker than I ever did. It also helped me adapt with how busy the life of a student athlete is,” said Ibaceta. She mentioned that getting back on the field was a big help for her. She wasn’t able to play organized soccer in Miami because there weren’t many teams open for players her age. Concordia women’s head coach Jorge Sanchez was quick to applaud her work ethic and technical ability. Ibaceta joined the team for a number of training sessions in the winter of 2016 but unfortunately was not retained during the 2016 fall training camp, according to Sanchez. She was given objectives to work towards on her own and eventually trained with the team once again this past winter. “[Ibaceta] arrived at the training camp and had improved to the point where we were delighted to have her on the team and develop with us,” said Sanchez. Currently studying Philosophy, Ibaceta is hoping to switch into the communications program and ideally go into sports broadcasting. When asked about her future in the sport, she spoke about how she was looking forward to returning to her old club in Chile for the offseason. “It’s sort of creating a nice balance in my game because when I play in Chile it teaches me to not overthink my passes and follow my instincts,” said Ibaceta. Regardless of where she ends up, Ibaceta says her experiences on and off the field with the Stingers are indicative of great things to come.